Nothing can be more satisfying than a hearty bowl of oatmeal to kick-start your day. But did you know this staple breakfast cereal also offers numerous beauty benefits? Oatmeal is touted as a great source of antioxidants and anti-inflammatory polyphenols that protect your skin and help soothe any skin irritation. It also forms a protective layer on the skin to keep it well-moisturized. However, these uses of oatmeal for beautiful skin and hair are not a modern-day discovery. Egyptians, Romans, and Greeks used to add oatmeal to their baths to heal different skin conditions. Oatmeal, or oats, also contain saponin, a type of compound that foams when agitated in water. It is the same compound used in commercial cleaners and soaps. Saponins help get rid of dirt, oil, and impurities embedded in the skin and deep clean the pores. In addition, the coarse texture of oats makes it an excellent ingredient for natural scrubs to treat acne, blackheads and oily skin. 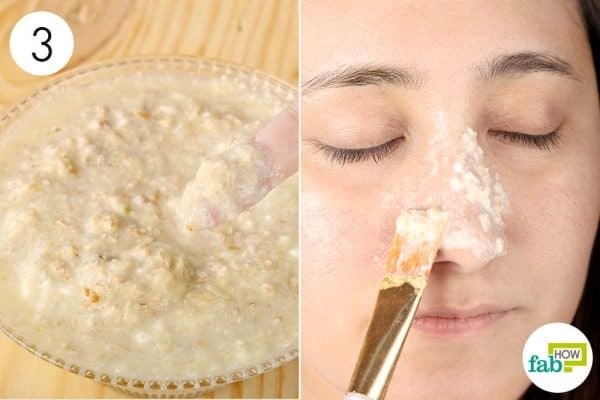 If you wish to reap the many benefits of oatmeal, here are the 7 most effective uses of oatmeal for beautiful skin and hair. Dandruff can be a persistent malady for many. Not only do the white flakes cause embarrassment, the constant itching can be really frustrating. Oatmeal can be used as a shampoo for dandruff and also to get relief from an itchy scalp. Oatmeal helps absorb excess oil and remove the dead skin cell buildup on your scalp. 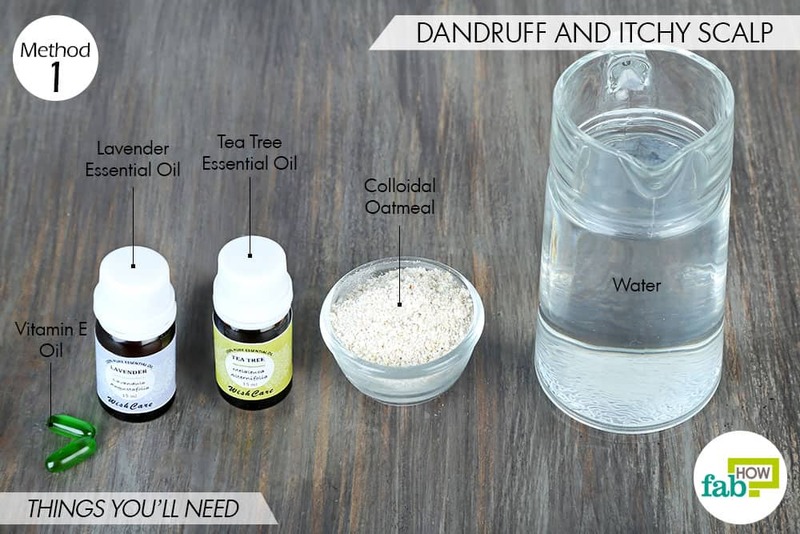 The tea tree essential oil used in this remedy works as an antifungal agent against dandruff. The lavender essential oil soothes the scalp and prevents hair loss, a common problem that occurs along with dandruff. The vitamin E oil nourishes and moisturizes the scalp. Pour 1 cup of water into a saucepan. 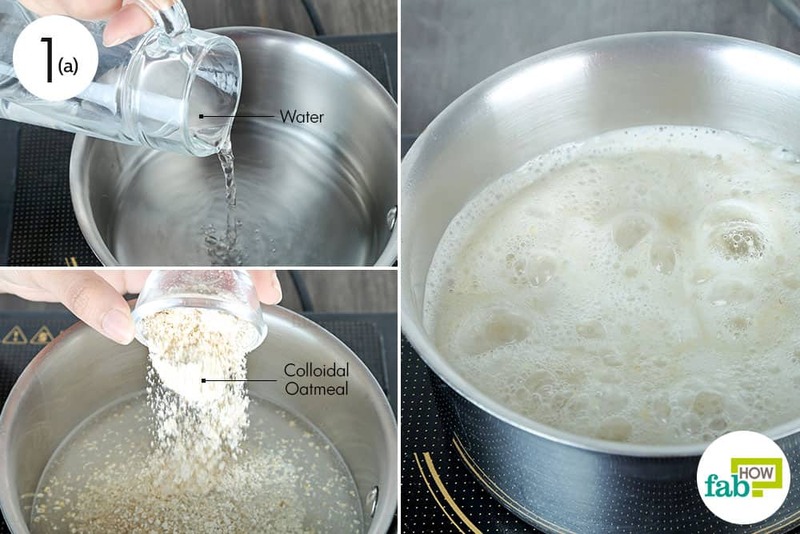 Bring the water to a boil and add 2 tablespoons of colloidal oatmeal. Reduce the heat to low and let it simmer. Continue stirring and cooking the oatmeal until the water turns gooey. 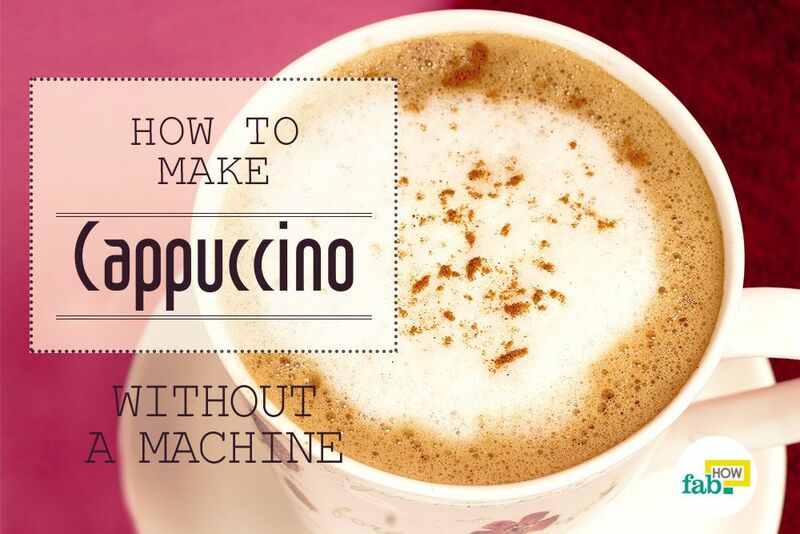 When it’s done, turn off the heat and allow the liquid to cool down completely. 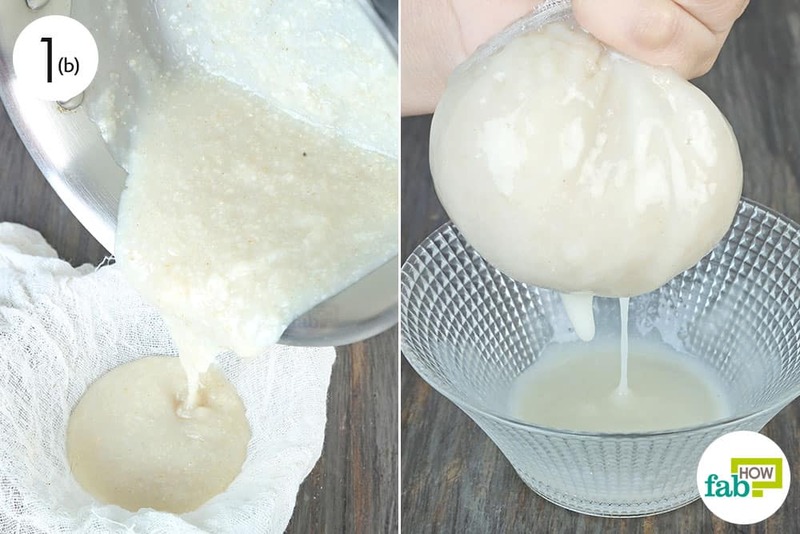 Once you get a thick consistency, use a cheesecloth to strain the viscous liquid into a bowl. Bundle up the cloth and give it a light squeeze to allow any remaining liquid to ooze out. 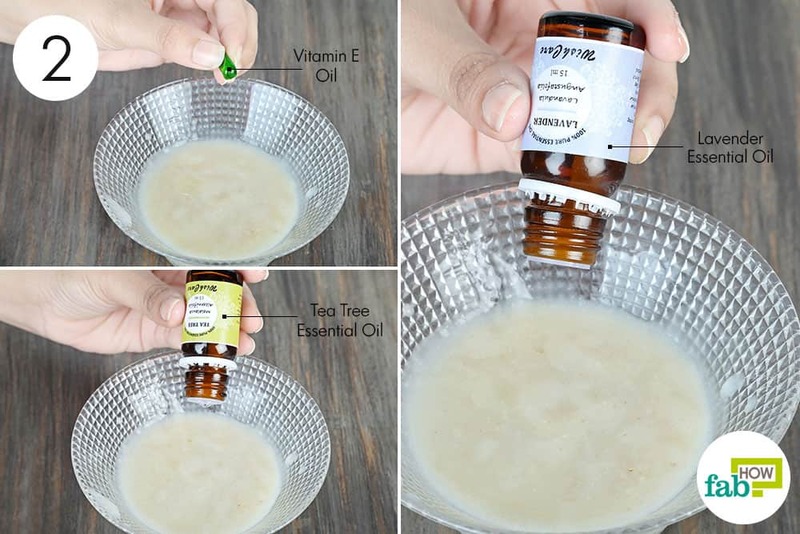 Puncture and squeeze out the contents of 1 vitamin E capsule (about ½ teaspoon) into the oatmeal liquid. Add 2 drops each of tea tree and lavender essential oils to it. Funnel the prepared mixture into a pump bottle for ease of use. Dampen your hair and squeeze out a coin-sized amount of the DIY oatmeal shampoo into your palm. Work the shampoo into your hair and massage your scalp with it. Leave it in for 1 to 2 minutes, then thoroughly rinse it out with lukewarm water. Use this shampoo 2 or 3 times weekly to get rid of dandruff or an itchy scalp. 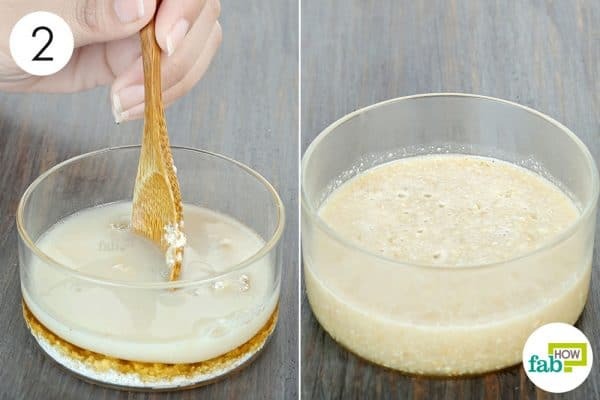 You can store this homemade shampoo in the refrigerator for up to 5 days. 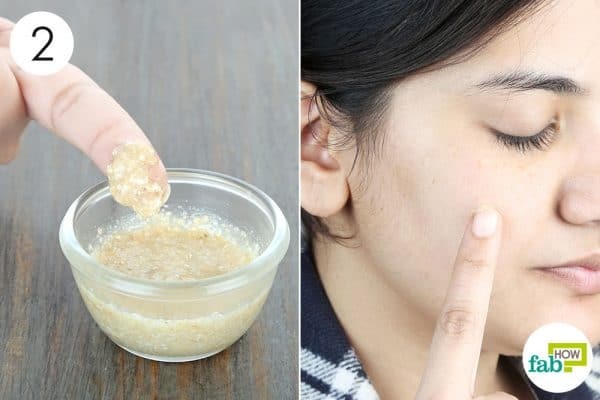 The sudsy oatmeal can be whipped up with other nourishing ingredients to create a face pack to get rid of blackheads and whiteheads. Both blackheads and whiteheads are a result of dirt, sebum (natural skin oil) and dead skin cells clogging your pores. Oatmeal is a natural exfoliant that pulls out the deeply embedded gunk. The cucumber and yogurt used in this face mask help soothe the skin and reduce sebum production that leads to blackheads. 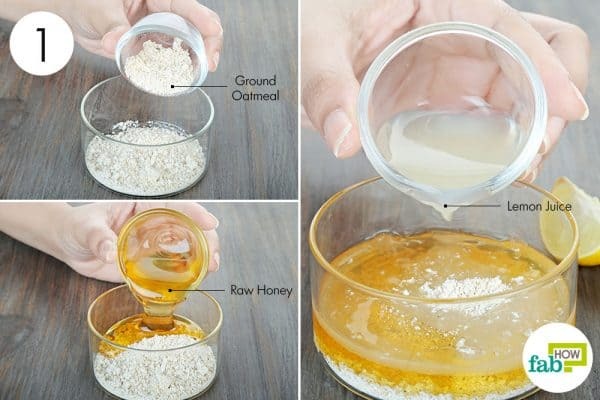 This recipe also uses honey, which helps moisturize the skin and forms an antibacterial layer on the skin to prevent breakouts. 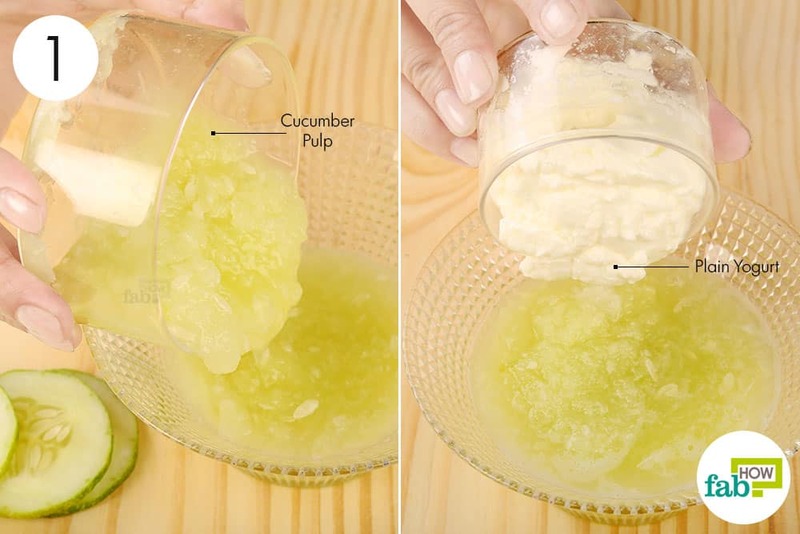 Put ½ cup of cucumber pulp in a bowl. Add ½ cup of plain yogurt. Mix well to get a uniform paste. Add ½ cup of oatmeal and blend it in, too. Refrigerate the paste until it hardens up a little to reach a scrub-like consistency. Use an applicator brush to apply a thick layer on the blackhead- and whitehead-prone areas. Leave it on for 10 to 15 minutes, then rinse it off with warm water. 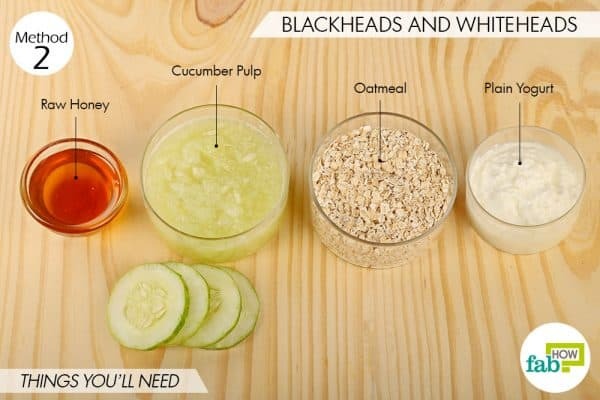 Use it 2 or 3 times a week to get rid of annoying blackheads and whiteheads. 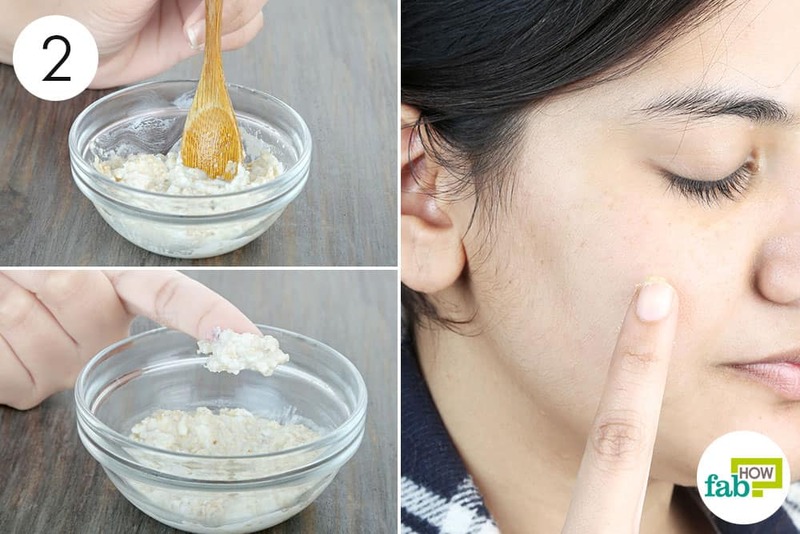 Oatmeal is quite popular as a gentle exfoliant, especially for sensitive skin. The soft granules easily buff your skin and also moisturize it in the process. In fact, you can also use oatmeal to make DIY scrubs for softer hands. 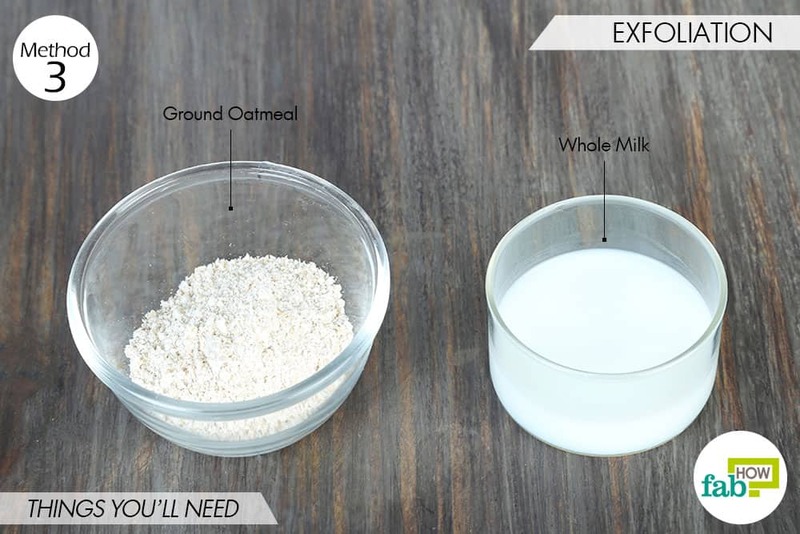 This simple scrub recipe uses a blend of oatmeal with whole milk. Whole milk contains lactic acid, which works as a natural cleanser to dissolve dead skin cells and give you healthier and fresher-looking skin. Put 2 tablespoons of ground oatmeal in a bowl. Add 2 tablespoons of whole milk to it. Apply the paste to your damp skin. Massage it over your skin in small circular motions for 2 to 3 minutes. Let it sit for 20 minutes, then rinse it off with lukewarm water. Use this homemade scrub twice weekly for a healthy skin turnover. One of the most effective uses of oatmeal for beautiful skin and hair is its ability to soothe and treat extremely dry and blotchy skin. Oatmeal contains antioxidants that help prevent as well as reverse free-radical damage caused by environmental toxins. Its anti-inflammatory properties also soothe the skin irritation. To use oatmeal for blotchy skin, you need to combine it with honey. 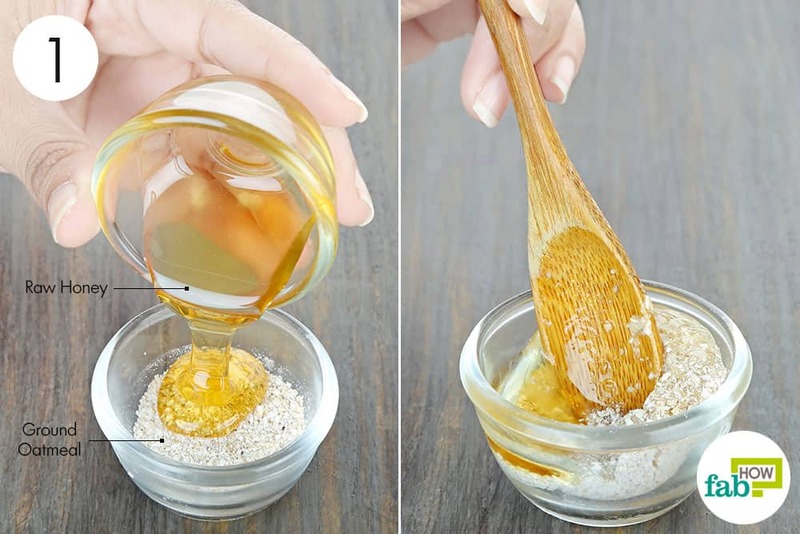 The honey works as a humectant to seal the moisture into your skin and keep it supple. Put 2 tablespoons of ground oatmeal in a mixing bowl. Add ½ teaspoon of raw honey to it. Mix all the ingredients well to get a uniform paste. Apply the paste on the blotchy patches and leave it on for 5 minutes. Massage it over your skin for 1 to 2 minutes, then rinse it off with water. 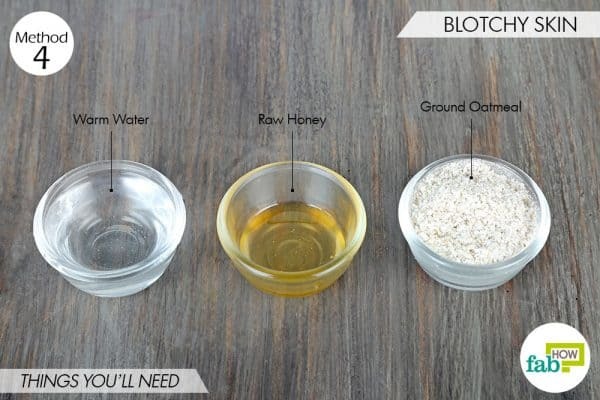 Use this remedy 3 times every week to get rid of blotchy skin. Tired of using bleach or wax to deal with unwanted facial hair? Well, there’s a much safer and pain-free alternative. 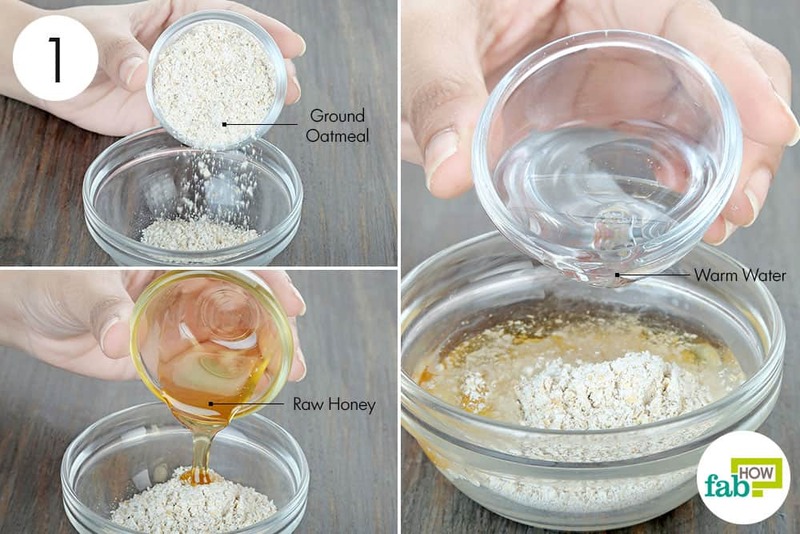 This DIY oatmeal face mask, along with honey and lemon, helps easily pull out the finer hairs via exfoliation. The lemon and honey in the mask protect the skin from any infection and also leave the skin clean and moisturized. 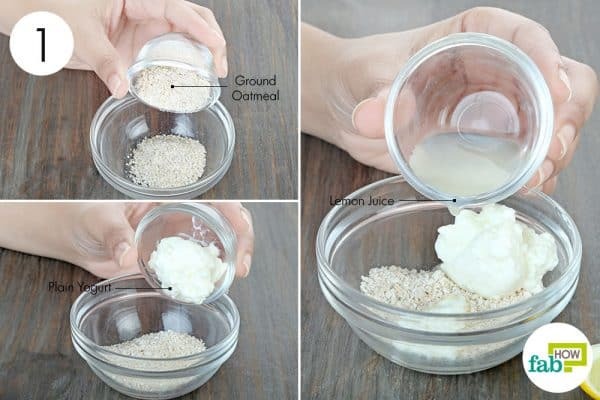 Put 1 tablespoon of ground oatmeal in a container. Add just enough fresh lemon juice to form a paste. 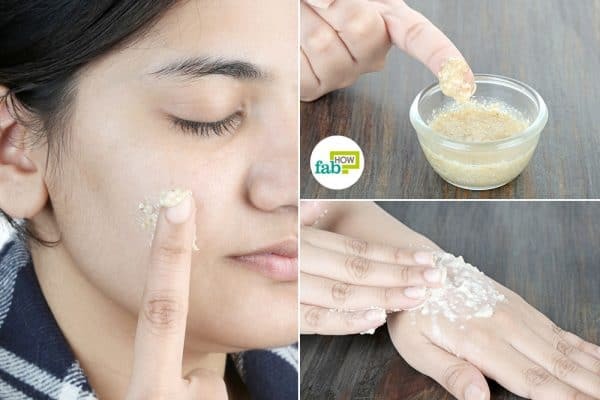 Apply the paste on the hairy patches on your face that you wish to get rid of. Leave it on until the paste dries completely. 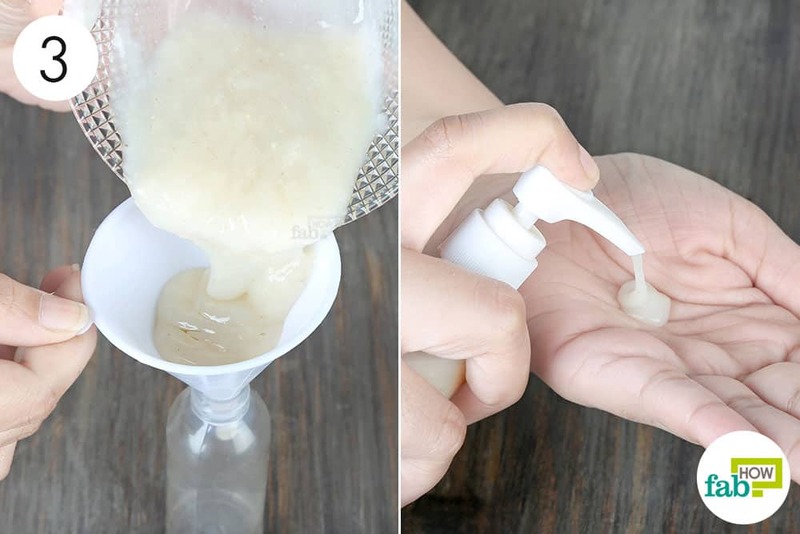 Reactivate the paste with a little water, scrub your face with it for 1 minute and then rinse it off with warm water. Do not try to scrub off the dry paste or you will end up irritating your skin. 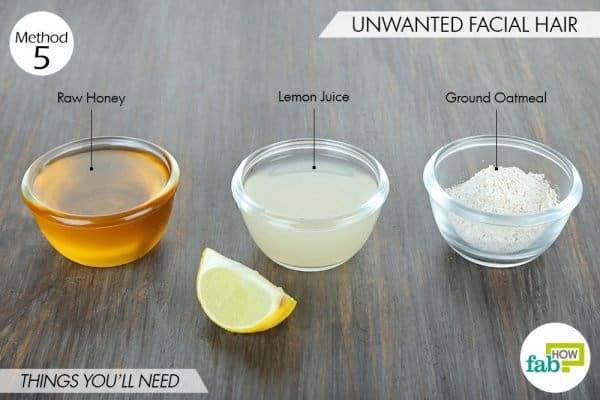 Use this mask daily until you get rid of the unwanted facial hair. 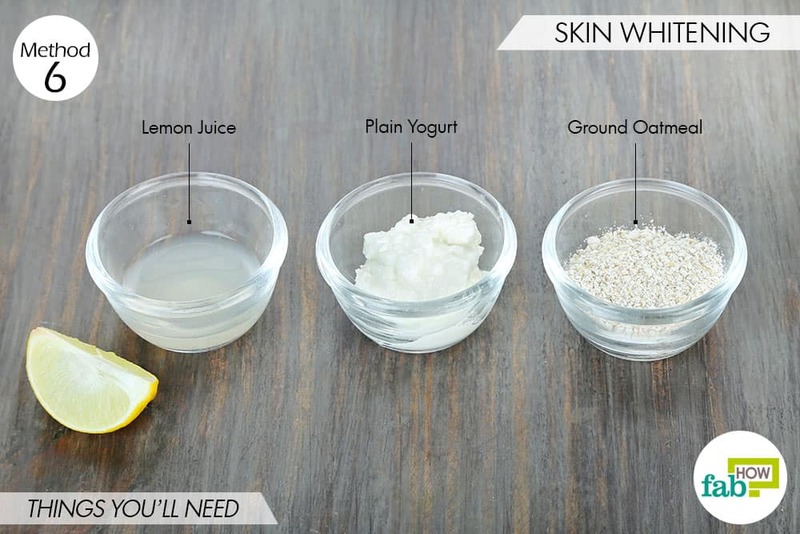 Oatmeal can help you naturally achieve a lighter and brighter complexion. It helps impart an even skin tone by exfoliating away dead skin cells and trapped impurities. The lemon used in the recipe works as a bleaching agent to lighten the skin. The yogurt also helps lighten skin, as it is a natural cleanser. Put 1 tablespoon of ground oatmeal in a bowl. Add 1 teaspoon of fresh lemon juice. You can learn how to extract the maximum juice from a lemon here. Apply an even layer of the paste all over your face. Let it sit for 20 minutes, then rinse it off with tepid water. Apply this mask 2 or 3 times every week to naturally whiten your skin. If you have naturally oily skin, you’re probably all too familiar with acne. As acne is caused by clogged hair follicles, oatmeal can help deep clean the pores to reduce the breakouts. 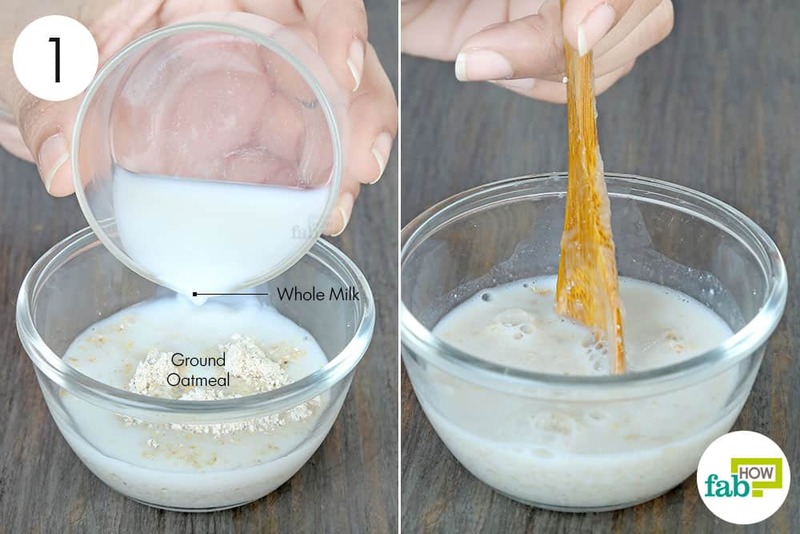 Also, if you have unsightly acne scars, oatmeal helps lighten them by sloughing off the topmost skin layer to reveal fresh and healthier skin. 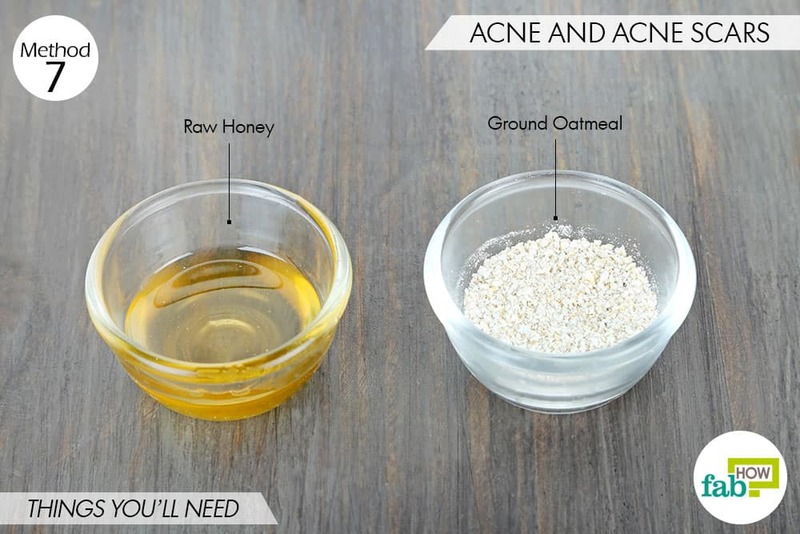 Since well-hydrated skin heals better, combine honey with oatmeal to seal in the moisture. 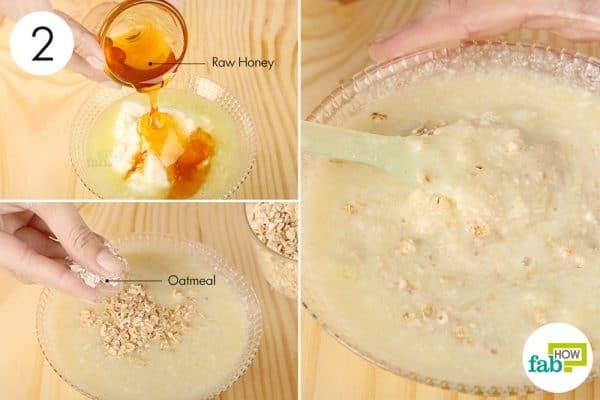 Add 1 teaspoon of raw honey to 1 teaspoon of ground oatmeal. Mix the two well to get a thick paste. Apply the paste on the acne or acne scars. Leave it on for 10 minutes, then rinse it off with tepid water. Pat dry your skin and apply a facial toner, followed by a light moisturizer. 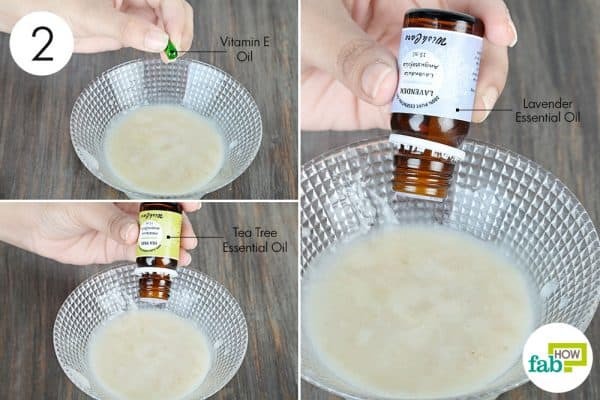 Use this spot treatment 2 or 3 times every week to get rid of acne and acne scars. While there’s a wide variety of honey available in the market, use an unprocessed and organic variety to reap the maximum benefits. 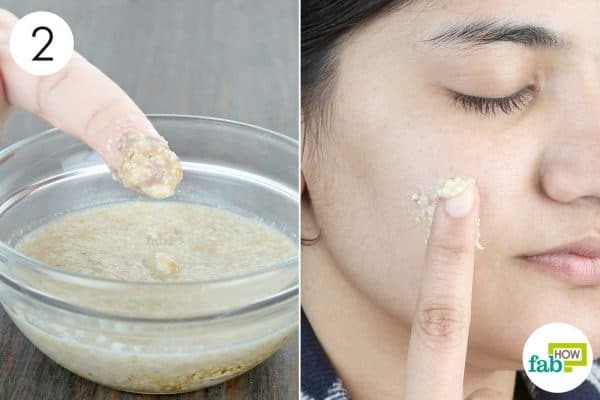 Although oatmeal is generally safe to use on skin, it is still advisable to do a patch test for any of the above recipes. Apply the prepared paste or mask on the inner side of your arm and wait 24 hours to check for any skin reaction.